Venom is an anti-hero, stalking the dark corners of the Marvel Universe where he releases bloody and brutal justice on those that that would harm or exploit the innocent. 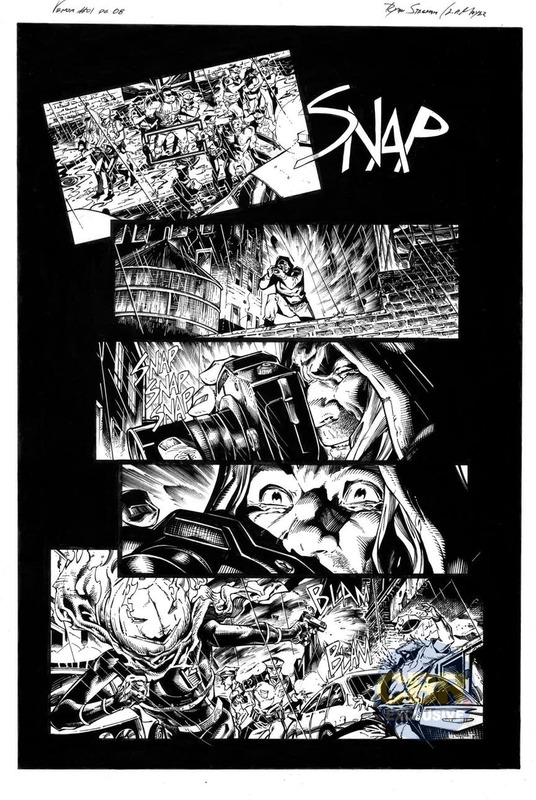 Eddie Brock and his symbiotic Klyntar “Other” hunt in the shadows because it allows them to get the drop on their unsuspecting prey while limiting other heroes from interfering in their crusade. This spring, though, there will be something sinister in the shadows hunting Eddie and his symbiote. What’s more, their clash will attract the attention of a Spider-Man Eddie’s never met before, but who harbors a grudge against him, Miles Morales. That’s the set up for the introductory arc of writer Donny Cates and artist Ryan Stegman’s new Venom series, which kicks off this May as part of Marvel’s Fresh Start initiative. 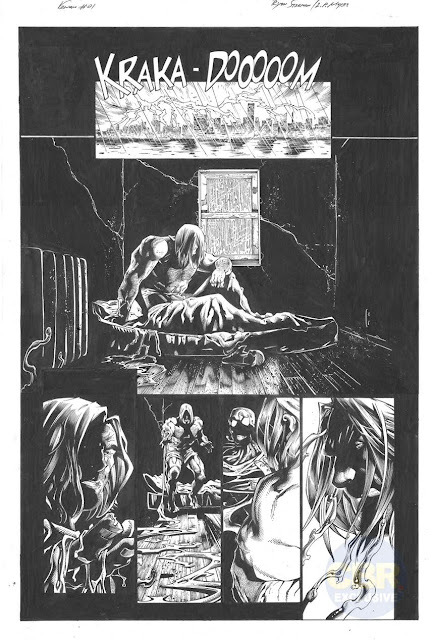 CBR spoke with Cates about his lifelong Venom fandom, his take on Eddie Brock and the symbiote, bouncing Miles Morales off of the Marvel Universe version of the monster who killed his mother in the Ultimate Universe, and the joy of collaborating with Stegman. CBR: Donny, looking at your creator-owned work and Marvel books like Thanos it feels like Venom is a character that is definitely in your wheelhouse and one you probably have quite a bit of affection for. 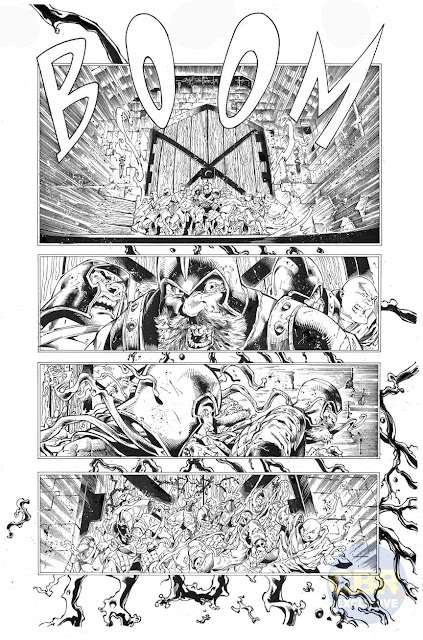 Donny Cates: Oh absolutely, I’ve been a Venom nut since I was a little kid. Venom turns 30 this May, I’m 33, and I started reading comics with Venom in them when I was around 3! So I’ve been here for the whole ride. In fact, true story: I used to do these sculptures of him in high school that I then submitted to get a scholarship to art school. I got that scholarship based on those sculptures (and some other stuff) and it was at that art school that I met Geoff Shaw. Geoff and I then went on to create Buzzkill, The Paybacks, and God Country, which led to Marvel seeing us and grabbing us for Thanos. So, in a very bizarre way, Venom led me all the way around back to him. He called me here! I’ve always loved how conflicted and unsure Eddie can be as a character. He’s not as straightforward as many of the other Marvel heroes’ you know? He’s still very much a man trying to figure himself out. That really speaks to me as a writer to be able to take on a character whose clay is still wet (so to speak.) Also, and let’s be honest here, he just looks so cool! That was what I fell in love with as a kid, this scary looking Spider-Man monster! The Venom symbiote has undergone a number of changes in recent years, and that’s sort of affected its relationship with former and current host, Eddie Brock. 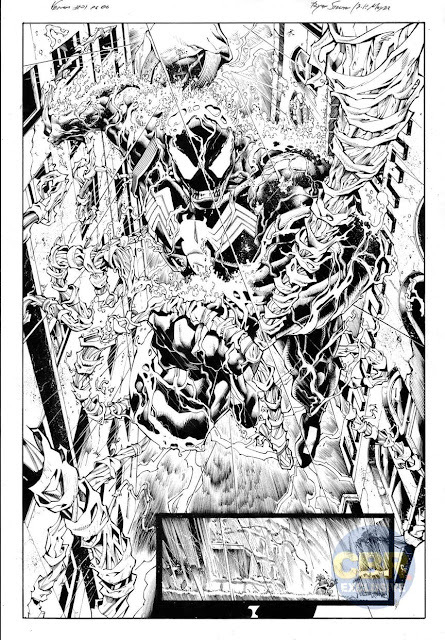 What’s your sense of the dynamic between Eddie and his Klyntar “Other” when you pick up with them in Venom #1? When our series picks up, their relationship is at an all-time low. Eddie can’t trust his other, and the symbiote is acting very erratic. There’s a reason for that, one beyond the usual “it’s an angry monster all the time” kind of sentiment. Something is affecting the symbiote. This isn’t a change that’s coming from within it, and whatever’s happening is making it almost animalistic. 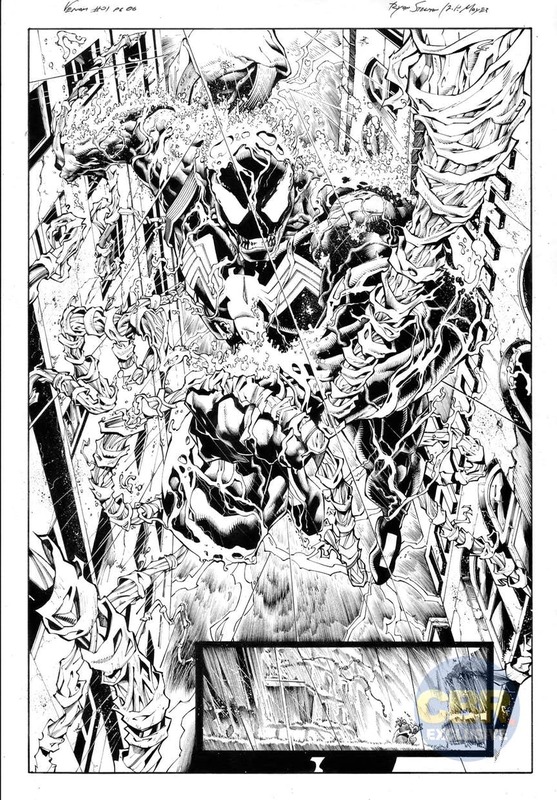 What can you tell us about the tone you’re aiming for in Venom? How does it compare to some of the other Venom series of the past? I’m not sure I can compare it to anything else in the Venom Canon (Good band name) but I’ll say that I’ve been describing it as a kind of “Lovecraftian action film.” So, big scary stuff, with some big set pieces and action in there. It’s all very big and grand and scary. Lots of reveals. 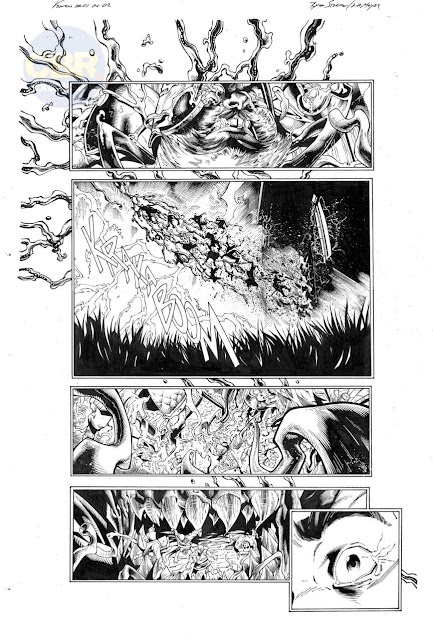 In this initial story you pit Eddie and his Other against a threat that’s haunted both of their kind in the past. Is this a new character? What can you tell us about its motivations and your inspiration for this antagonist? It is a new character, yes. And no, I can’t tell you much about it! Sorry!! That’s the big one I can’t talk about. I promise you though…Eddie has never faced anything like this before. 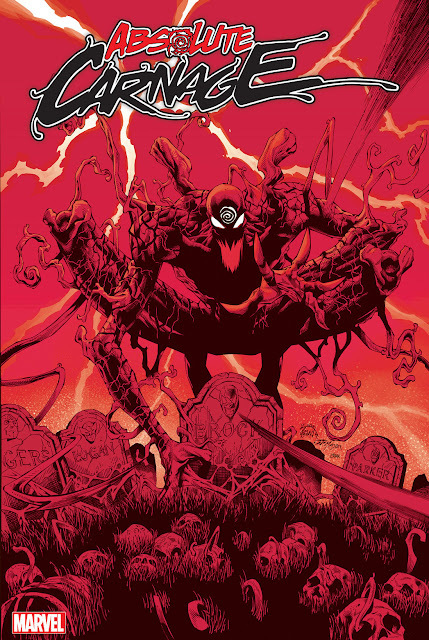 In Venom#3, another character Eddie has never faced before becomes embroiled in his adventures: Miles Morales. What made you want to bring Miles into this story? What’s it like bouncing this Web-Slinger off of Eddie and his other? Oh, man! The best! Here’s what is just so cool about those two: A Venom-like creature led to the death of Miles’ mother back in the Ultimate Universe, you know? So, Miles seeing Venom like this…it’s not great. And from where Eddie is sitting… well, damn. Here’s another Spider-Man who hates him! And he’s never even met this kid! So yeah, bouncing those two off of each other has been so much fun. And just such an honor being able to write Miles. And to write the first meeting of Eddie and Miles. I’ve had many late-night conversations with Bendis getting tips from him on how to write that guy. Probably too many haha! I’m sure Brian is sick of me. But I just want to make sure I’m nailing it! Who are some of the supporting players we’ll see in your initial Venom stories? We’ll be seeing a pretty big new supporting cast in the series. Some new, some old, and some characters that you know, but wouldn’t necessarily think of to put with Venom. I can’t say too much, but look out for issue #7 as a big moment for Eddie’s supporting cast. A big player emerges in that issue that will shock people in the way that bringing Sentry in to Doctor Strange did. That one is gonna be fun! I’m very excited that you’re collaborating with Ryan Stegman on Venom because he’s a great artist and has a knack for weird and monstrous characters. What’s it like working with Ryan? What do you enjoy most about his style? This is the best work of Ryan’s career, hands down. He is coming out guns blazing on this series and you guys have no idea how crazy this is all going to get! Ryan is a Venom nut, too, and together we’ve been having so much fun. We’ve become really good friends, and talk all the time now about how to make this book sing. It really is one of the best collaborative experiences I’ve ever had on a book. We’re having a blast, and we can’t wait for you all to see what we’ve cooked up! Finally, Venom’s monstrous nature, cosmic origins, and connection to Spider-Man means you can play with a ton of different genres and take the character into many corners of the Marvel Universe. So, can you leave us with some teases about where you’d like to go with the character after the series initial arc? Our first arc, which is called “REX,” is an enormous story. It’s scary, and cosmic, and street-level and mythic all at the same time. It’s bananas. And then our second arc is more…down to earth? It’s a more personal story for Eddie. Peeling back his layers (there’s a symbiote joke in there somewhere) to get to the heart of who Eddie really is inside. We’re playing a very long game in this series, so threads will be hinted at and pulled on throughout our first year that all lead towards something huge coming next year. But yeah, you’re right when you say Venom kind of belongs to all of these different genres all at once. He’s a great character in that regard, because there’s just not a lot of settings you couldn’t put him in. You put Daredevil in space, and that might be a bit weird. But with Eddie and his Other — it’s all just so weird that it works. So yeah, we’re gonna get pretty out there. I can promise that. As much as I have enjoyed the last three issues of Costa's run on VENOM (Tangled Webs, and The Nativity arcs), I am beyond excited for the relaunch with Cates and Stegman! What about you guys?